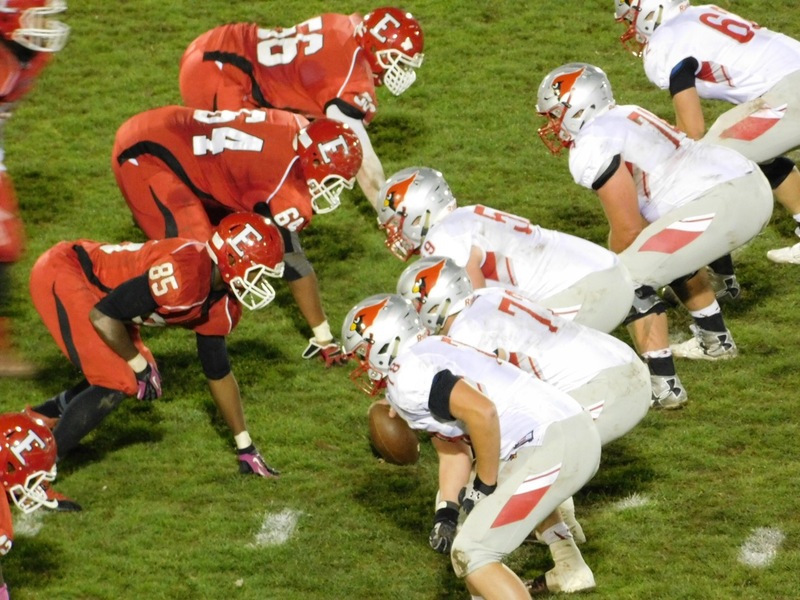 ELYRIA, OH – It was all or nothing for Kevin Fell’s Elyria Pioneers Friday night, as they hosted the 7-2 Mentor Cardinals at Ely Stadium. A win and Elyria was headed to the postseason, a loss and they would be taking the field for the final time in 2015. The Mentor Cardinals had already clinched a playoff birth, but had a possible home game on the line with a win. At first it looked like it was going to be like the Cardinals week two epic matchup with St. Ignatius, a game that saw the two teams combine for 119 points as Mentor won an old AFL like shootout 63-56. The Cardinals and Pioneers each scored twice in the first quarter, but then finally the two teams’ defenses got going, and the game went into the locker room tied at 21. After a scoreless third quarter, the Cardinals got the first points of the second half with less than three minutes to play on a 34-yard field goal to make it 24-21. The Pioneers had one last shot, and cool as a cucumber their offense drove down the field, hitting big plays and finding running room to get the ball to the Mentor one with :18 seconds left. On second down running back Chris Atkinson busted through from the one with the go-ahead score to put Mentor up 27-24. The Elyria defense held on for the huge win, clinching that the Pioneers would live to fight another day in the playoffs. Here’s a video of the game-winning score of Atkinson going over from the one in the final seconds. See all the great action in our extensive photo gallery from all the great action in Elyria. Enjoy our photo gallery of all the great action!